Running a school can be hard. Membership in the ACCS makes it much easier. Once you become a member, we’ll send your Member Resource Center (MRC) access information, your school will display on our popular “School Finder” which gets thousands of visits each month, your parents can receive The Classical Difference, your administrators can receive Classis, your school will receive discounts on products and services, and you can use and contribute to our resource center and job board to build and grow schools across the country. Represent value and quality to your parents. ACCS Member student performance data is very impressive. Use our pre-prepared graphs to tell your parents that you are part of the ACCS, arguably the most impressive k-12 academic group in the nation. Speak with one voice. 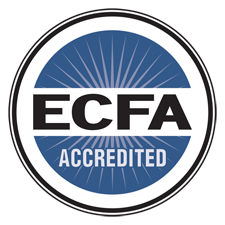 Your membership helps to expand classical Christian education. We spend thousands annually to promote classical Christian education in the press, through advertising, and online. Members benefit collectively from our efforts. Recruit new families. Over 20,000 visitors annually seek out classical Christian schools in their area through our member directory. Improve through resources: Members can access our complete quality system of accreditation, teacher certification, teacher training, curriculum partners, and consultants. ACCS Accreditation is truly independent of state control and yet has recognition in many states through private partnerships. Encourage your teachers and staff: Classis is a quarterly publication of ideas and happenings from around the classical Christian community. 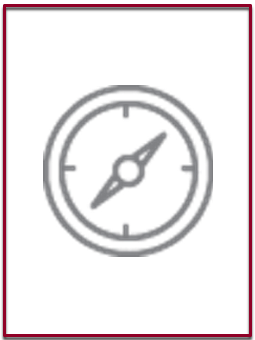 MRC Data*: The MRC is connected to our member database, providing analysis of salaries, test scores, and much more. Access to past conference speeches and talks free of charge, organized to help you train and encourage your staff. Curriculum and vendor resource guides that will tell you how many members use that resource, and what they think of it. Documents, forms, and even more documents. From parent handbooks to enrollment forms, to employment agreements, you can find something to borrow, or something to improve. Our Distinctive School series of online “papers” help ACCS members execute classical Christian education well. Our staffing resource will help you find teachers who love classical Christian education and have the specific skills and knowledge that you need. We recruit on nationally on behalf of our members. Data-based answers to your toughest questions*: How much should I pay a new teacher? How much space do I need for 205 students? Should I use Saxon or Singapore? Enjoy conference talks: They’re all free to members. Participate in classical Christian student contests: The Blakey Prize in Fine Art and the Chrysostom Oratory Competition offer cash prizes up to $500, travel, and other awards. Find out more. Receive discounts for conferences attendance and participation in our “insiders” annual meeting of members. Receive discounts from various educational suppliers, including Church Mutual, Veritas Press, Classical University, and many more. Connect to our network of schools around the country. Be private and classical Christian. Serve some combination of grades k-12. We do not charge per student fees for pre-k. Commit to providing or finding a path to full k-12 classical Christian education for students. This can include a future plan or a path involving another school. For example, if you are k-4 planning to go to k-8 at which time students may transfer to another classical Christian 9-12 in your area, you qualify. Operate a school with classrooms (physical or digital) and teachers where students are sent by their parents to be instructed. Nontraditional models like “University”™ model schools, or online schools qualify. Support the work and mission of the ACCS. Not affirm unbiblical family relationships. Not discriminate on the basis of race, color, or national/ethnic origin. Agree with the ACCS definition of classical Christian education (see handbook or web) and implement it insofar as you have the ability and resources. Not accept government funding sufficient to compromise the classical Christian mission should the government funding be withdrawn in the future. Conform to the trivium in the grades that you serve, as well as providing, at a minimum, two years of instruction in Latin or ancient Greek for each student and one year of formal logic and one year of rhetoric in the secondary. Also, note: We have a new “Transitional” membership under which schools do not need to meet the last two requirements listed above for 5 years. $225 per school plus $8 per full-time k-12 student. All membership fees are based on a calendar year, but are collected between August 1st and October 1st of the prior year. Since schools normally work on academic years, this practice provides academic year membership coverage, plus one semester of the subsequent year. January 1st and March 31st: Deduct 25% from standard annual dues. Membership extends through December 31st of the calendar year in which it was paid. April 1st and June 30th: Deduct 50% from standard annual dues. Membership extends through December 31st of the calendar year in which it was paid. July 1st through December 31st: Pay full annual dues, but receive membership status and benefits for the rest of the current year and the following calendar year. International schools are those outside the US and Canada. They pay a flat fee annually. This reduced fee represents the reality that many of the ACCS member benefits are less useful or unavailable for those schools from outside the U.S. The fees for international members are not prorated if the school joins mid year. Note: A special rate is available for mission schools in certain instances. Different levels of affiliate dues are paid, based upon the type of entity that seeks to join as an affiliate. Affiliate dues are not pro-rated. Affiliates are not able to access the MRC at this time. Pre-k students are not assessed (no dues are collected for these students). k 3-year olds and k 4-year olds in a school with a separate k5 grade level are considered pre-k. If the school has an integrated k program (including 3’s, 4’s, and 5’s in the same classroom), then all of these students are included in the k-12 count. A full-time student is any student who is on track to graduate with a diploma from the school. If the school does not offer diplomas (for example, it is k-6), then a full time student is any student who attends class for the normally allotted time considered ‘full time’ by the school. This definition covers both traditional and on-line schools. Students who are not “diploma seeking,” typically who take a class or two as electives, are not counted. Do not enter them into the system. We collect pre-k data, but we do not count them in our dues. If a diploma-seeking non-traditional students normally attend fewer than 21 hours per week (recess/lunch included as class hours) and do the remainder of time at home, then we will reduce the total student assessment by $4. There is a special box for this number in the membership application. Students who attend more than 21 hours per week are considered full-time. Enter them in the full-time student box. For distance/online schools: An online school provides the majority of the instructional process at a distance, usually through a computer. We charge only for diploma-seeking students. In k-8, “diploma” means that the student is participating in a program intended to meet the majority of their required schooling for that year. Part-time students who take classes ad hoc are not counted. “Diploma seeking” students are charged 50% less at online/distance schools because our services at present are less helpful to online schools than they are to “brick-and-mortar” classical Christian schools. Schools that have more than 750 full-time students attending need only pay for 750 students. We appreciate a contribution equivalent to the full number of students if the school desires. Our goal is to include all benefits to our members as part of their membership, without further fees. However, a few costs are passed on to members when we incur per-unit costs. Conference fees: We discount conference fees to members. The Classical Difference Parent Subscriptions: Membership comes with a “bulk pack” of 10-20 magazines sent to the school each quarter. In addition, this popular magazine for parents at ACCS schools has about 80% of our schools subscribing on behalf of parents— so they receive it in their home. Our cost to mail The Difference to homes is about $4 per year per family per year. We attempt to raise funding to cover this cost on behalf of schools. When we are not able to raise the funds, we ask schools to share in the cost. This is optional and is selected at the time of renewal. Products in our store: We offer our digital products to members free of charge. These are available in our Member Resource Center and include the audio and video products from ACCS conferences. Physical items (books, etc.) may be purchased by members. For more information on school membership, view our Member Handbook. 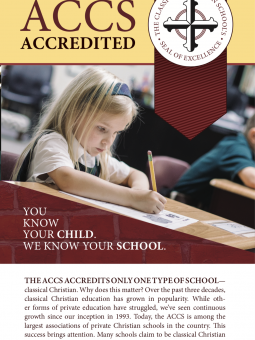 Individual/homeschool: Homeschoolers and individuals often join the ACCS to stay connected to classical Christian education and to be added to the subscription list for Classis magazine. Business: Some businesses join the ACCS affiliate group to show their support. Others want to stay connected and make their products or services visible to our members. Either way, business members get access to our membership list in an Excel format. Colleges: College affiliates gain visibility, vendor priority, and access to our members in various ways. College members also receive our member list in Excel format. Visit the store to learn more and to purchase affiliate memberships.